After we compare the three type desander and desilter, we can tell the first type can only be used in certain working conditions, only for wet cuttings. And the third type will be working good for many different working conditions. And the first type is the cheapest, and the third type is the most expensive. To choose proper model equipment, the buyer need to consider the working conditions fully and choose the proper model with good working performance and also with good price. Fully Hydraulic Drive Centrifuge: The advantage of the FHD centrifuge is for use in high temperature ambient for heavy mud with flexible bowl and differential speed. 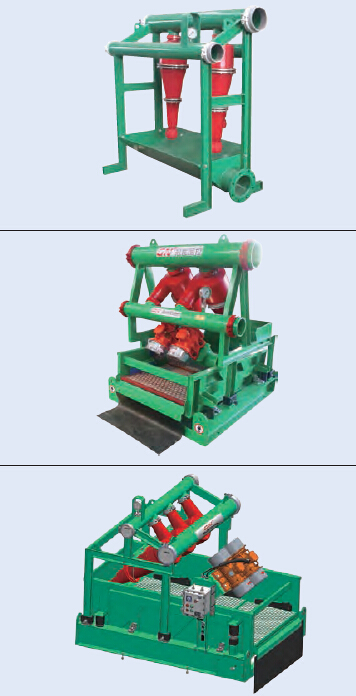 The compact one skid design makes it easier for rig up. Shale Shaker, Desander & Desilter, Vertical Cuttings Dryer, Chemical Dosing Equipment, Thermal Desorption Unit etc.